India moving towards becoming a less-cash economy, there are a lot of expectations from the payment industry, the key expectation being complete exemption of service tax. The existing waiver of 15% of service tax on digital transactions up to Rs 2,000 does not encourage universal acceptance of the online payment ecosystem. I expect that the 2017 Budget will completely exempt service tax from transaction fee in digital payments. This will help bring down the cost of products & services, leading to more merchants doing business digitally, thereby promoting online commerce and boost financial inclusion in India." Harshil Mathur is the co-founder and CEO of Razorpay. 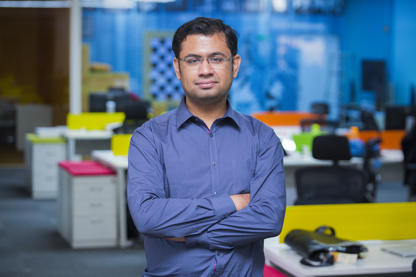 Harshil started Razorpay after discovering the dismal state of online payments in India. He graduated from IIT Roorkee in 2013 and worked at Schlumberger before quitting his job to start Razorpay. Harshil quit his full-time job with an idea to change the way payments are made in India. By early 2014, Razorpay was conceptualised with a vision to simplify online payments. Razorpay is a payments platform for companies who want to run their business online. The company helps businesses accept online payments via Credit Card, Debit Card, Net banking and Wallets from their end customers. Established in 2013, the company has 4000+ merchants and is one of two Indian companies to be a part of Silicon Valley’s famed alumni, Y Combinator. Tiger Global, Matrix Partners and Y Combinator have invested a total of $11.5 million in Razorpay’s mission to simplify payments. Founders of Unicorn companies and other leading investors include Naveen Tewari, Kunal Bahl, Punit Soni, Rohit Bansal, Kunal Shah, Ram Shriram and Justin Kan.